Architecture is not only generated by drawings and layouts but is also fundamentally represented through these two means of communication. In the exercise of the architectural profession, the construction of the architectural models is one of the most important themes. Thus, both the architect and the student learn, in addition to technique and materials, to translate drawings into a three-dimensional architectural model and to understand the architectural model as a design to analyse and study volumes in order to build plastic objects and control the effect which the projected spaces produce. The machetes complement the drawings and are guided by their own formal rules. The architect must acquire an own and unmistakable calligraphy, not just when he draws, but also when he needs to build architectural models. The starting point of each architectural project is usually an imposed work. The architect has to solve this work, but also his corresponding program with his own fantasies and ideas. This means that architecture does not just consist of building spaces to be used in a particular way to allow the desired activities to be accomplished, but also to take into account the plastic qualities of the space. In this sense, architecture is an art that interprets the space. Architectural space occurs as a result of the relationship between volumes, plans and lines, or, architecturally speaking, between bodies, surfaces and bars. The central theme of the architectural design is to give shape to the mentioned bodies, tables and bars and juxtapose them according to the function you would like to fulfil. The architectural project is understood as a process, at the end of which there is the solution that was still unknown at the beginning. Here is one of the greatest dangers of mock-ups: its construction already anticipates a precise idea of ​​the project and fixes it, threatening to stop its development at a too short stage. The project is made of drawings and architectural models. Through these, the process of shaping the object of architecture can be continued. The drawing, despite the advantage of having it in a short time, and its quick response to the spontaneity of ideas represents the architectural space in an abstract manner that is hard to perceive. On the contrary, the architectural model, but especially the conceptual architectural model, is the immediate translation of the architect’s ideas about the space of a concrete reality through tectonic elements. Drawing is the environment in which the architects think, work, and especially, dream. 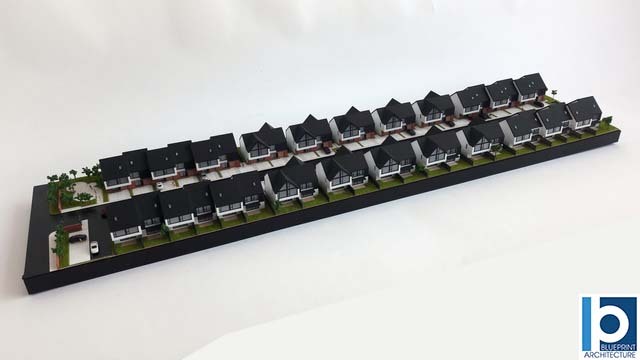 The architectural model – especially the conceptual architectural model or the study architectural model – is a necessary tool for architectural work that joins sketches. The first conceptual architectural models ease the variability of insinuating drawing. Conceptual sketches and shapes form the idea of ​​how an architectural workshop looks like and how the relationships are created and analysed; also, here, they demonstrate and develop their own creation and analysis tools: drawings and architectural models. In some conferences and publications it is predicted that in the future, computers will replace drawings and architectural models. The profession of the architect can no longer be imagined without the drawings created on the computer. However, at the beginning of the design process, the computer plays a subordinate role: it can not replace the dictated material experience, plastic modelling and construction of special relationships. So, the computer cannot replace either sketches or architectural models. Drawing and modelling mean designing the formal bases of the project: building a repertoire of shapes. The typological classification of the architectural models is based on the reduction of the basic technical elements – bodies, surfaces, bars – and the relations between them. 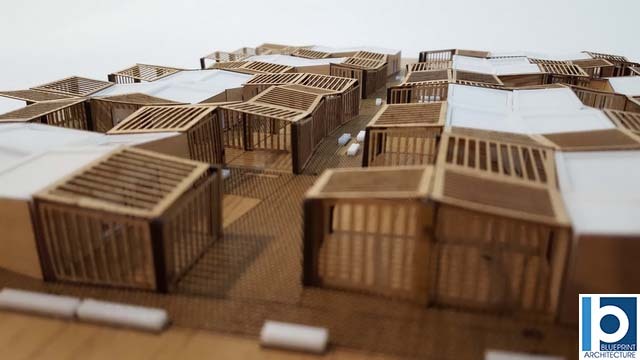 Models begin to build elaborate bodies, surfaces and bars on a determined scale; these are the basics whose combination determines a three-dimensional architectural model. 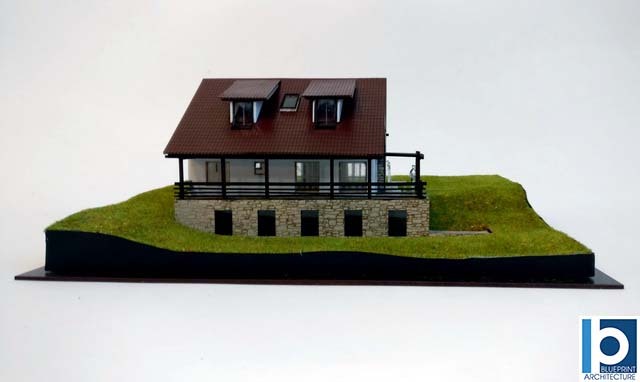 At the same time, each architectural model, together with the plans and works produced, is a reality of its own and is therefore subject to formal artistic criteria. The architectural motif sets a level of the project and illustrates the idea. In addition to this “utilitarian” work, the machete is itself a design work in which body shapes, surfaces and bars are modelled, and is related to the topographic relief. The layout elements can be described by different properties (which in turn depend on the architectural design): shape, size, orientation (situation), colour, texture and surfaces. By directing these five variables, we can obtain contrasts of form, position and colour that introduce tension patterns that respond to the architectural idea. That is why it is possible, and many contests and projects prove it, as the architectural models – as I have already said – are a reality that is rarely the same as the architectural reality. The layout, like drawings, is an abstract reproduction of the project. The reason why not only the normal but also the professional spectator is immediately seduced by a architectural model, which is later incapable of recognizing it in the construction, needs to look for the discrepancies between the real layout and the reality of the built project.